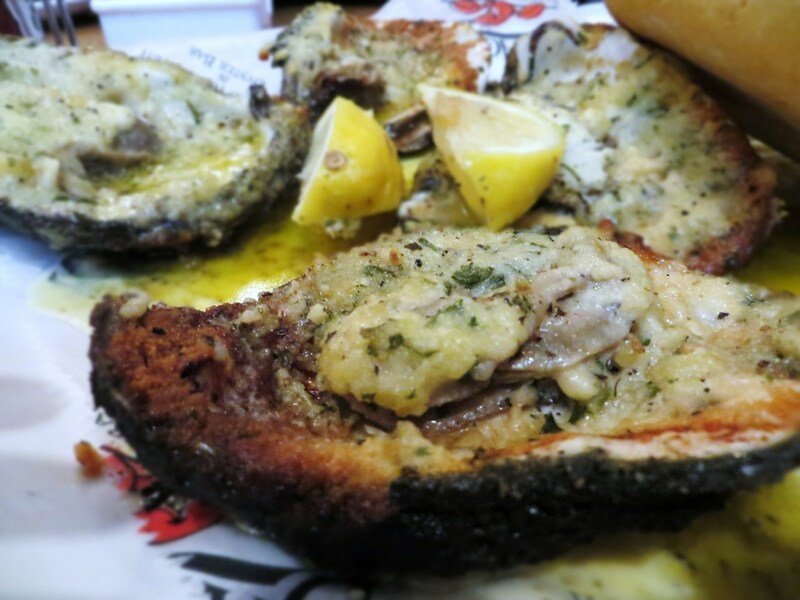 Drago’s Chargrilled Oysters – Really enjoyed our first snack in New Orleans. These were meaty, cheesy, citrusy, garlicky goodness. Various blog chatter hinted on some inconsistancies here especially compared to Drago’s original location and if that’s the case, color us lucky. With that said, this Hilton location is a big operation where the oysters are constantly being cooked regardless of the ordering. Our order of a dozen of these babies arrived at our table within a minute after the order took place Nice start! Mr B’s Bistro – I already mentioned Mr B’s in the opening remarks. The fact that we visited this place twice and had the BBQ Shrimp twice and that upon ordering the dish the waiter puts on a bib on you speaks volumes. It was like eating butter. Well, 3 sticks to be exact in every dish. But there was also a fair amount of fiery pepper in that sauce. 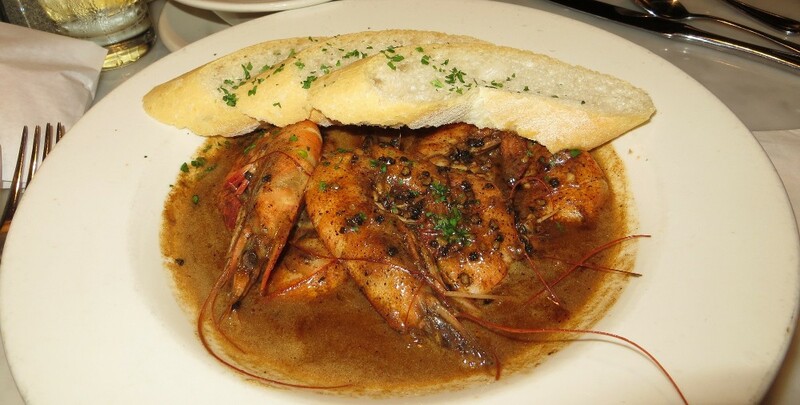 Add plenty of huge juicy plump gulf shrimp and you got a spectacular dish. Bravo! 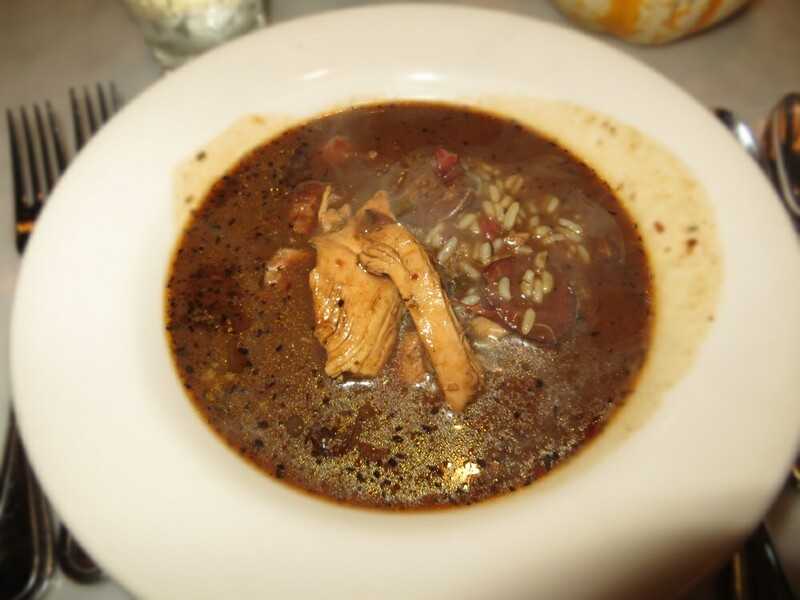 Boucherie – An excellent meal from start to finish. One of many uptown establishments located inside a house. Nice and cosy. A nice Pimms and something called Dark and Stormy that the Hummus Whisperer absolutely adored was a promising start. The meal started with a very nice smoked shrimp and fish beignets with tartar sauce and leek frites. 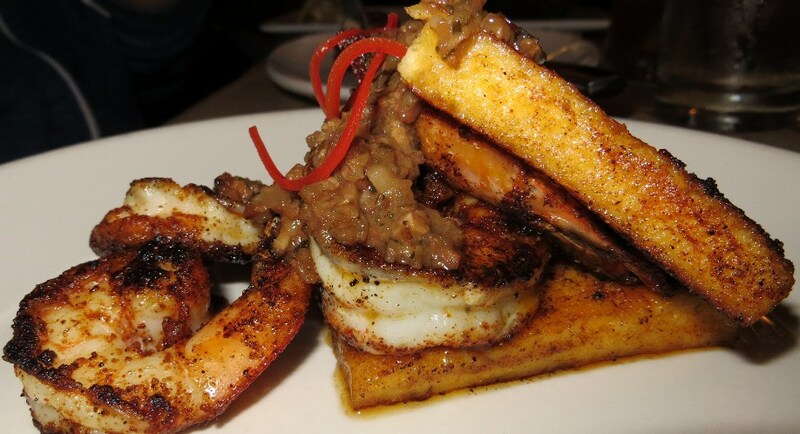 Blackened shrimp and grits were beautifully seasoned and very tasty. But the star was the boudins. You could smell it immediately when it arrived. The smell reminded me of Shawarma seasoning. I was sitting next to the bar and a blonde at the bar who was a little tipsy turned around and said “mmm I can smell your balls from here”. For the record I did not take a shower that day(yet) but I did not hear any complaints from my travel companions. I suspect however that they did not shower either because none of us spent much time in the hotel yet. But anyway, big flavors in those boudins. One of the top eats of the trip. The brisket was another winner. 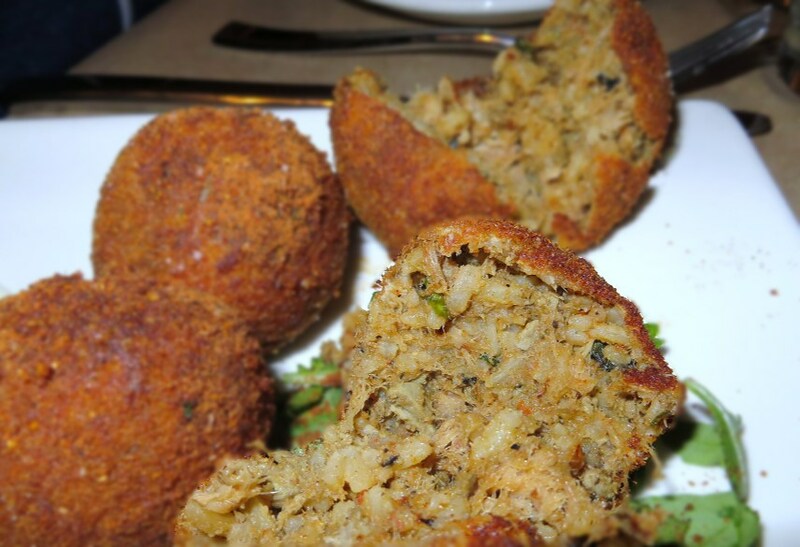 Tender and juicy melt in your mouth goodness. 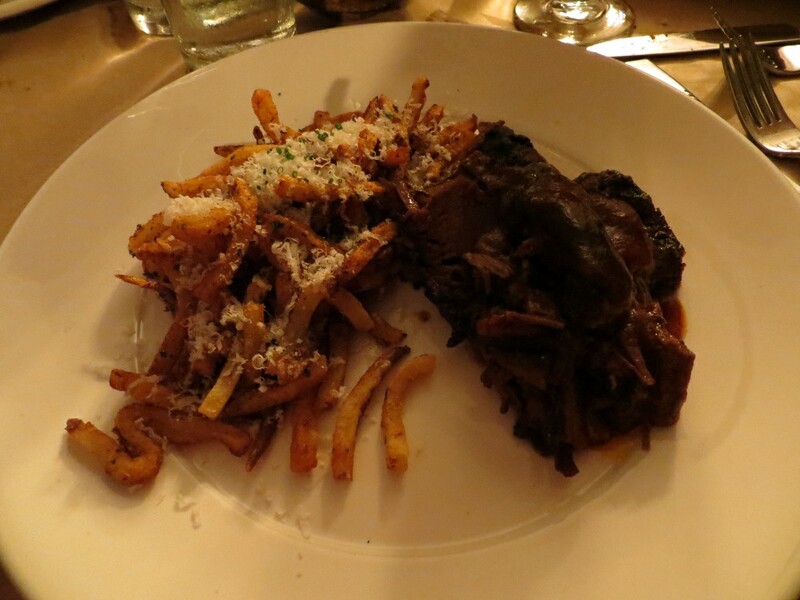 The garlicky Parmesan fries that came with it were spectacular and the table vinegar took them to another dimension. Also enjoyed the nicely seasoned dry rubbed ribs and the sides of crispy fried shallots. Loved the sides here. 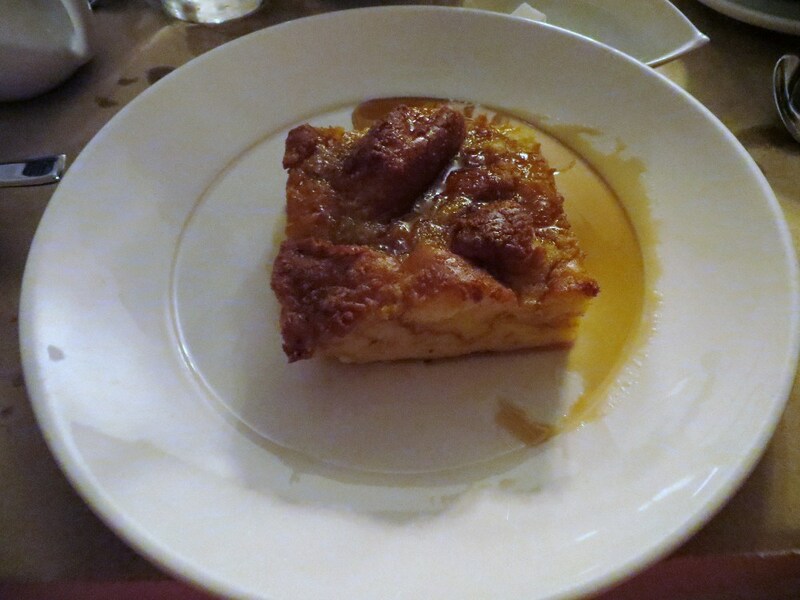 The Krispy Kreme bread pudding here was as good as advertised. Perhaps better than Mr B’s. 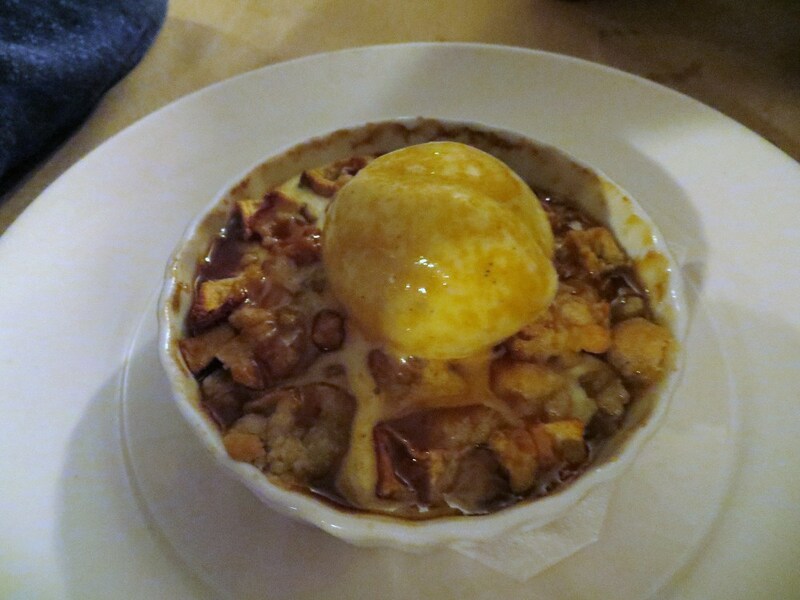 They also had an apple cobbler that we all enjoyed and a side of some amazing homemade butter pecan ice cream. Great first dinner!